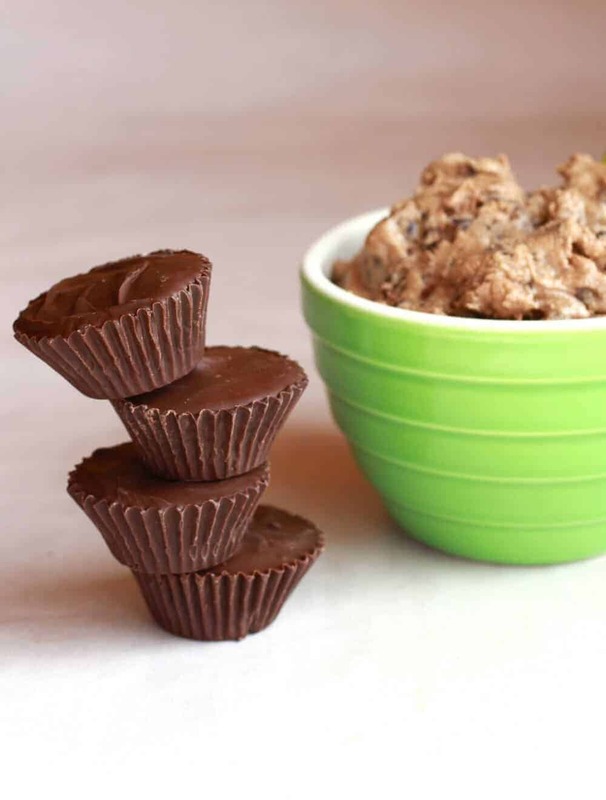 They look like peanut butter cups…..but their not. They’re better! I made like, a healthy nut butter. And then I turned it into a healthy “chocolate chip cookie dough”. 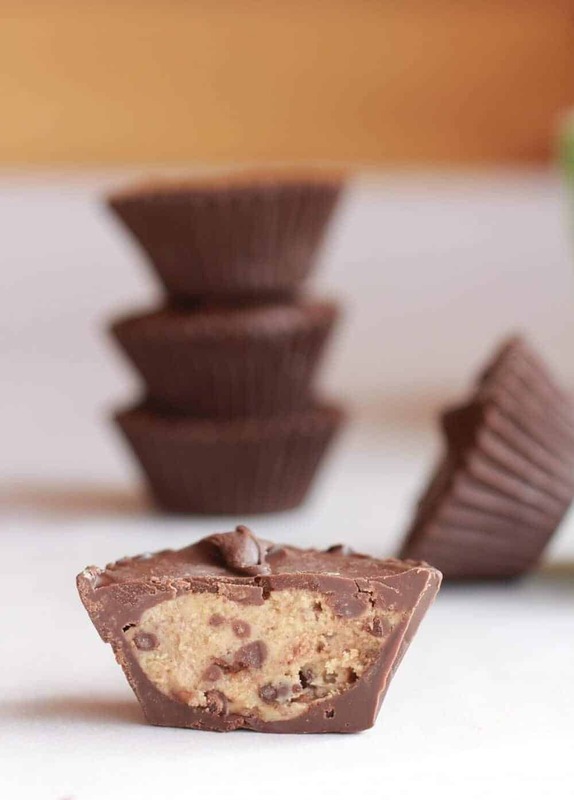 And then I covered the “cookie dough” in chocolate to make the cutest, most delicious little chocolate cookie dough cups. These were meant to be a gift, but I am not sure they will make it one more day around here, let alone find their way out of the house. Which is actually kind of a bummer because I have been meaning to get an edible gift sent out since Christmas. I know, Christmas has been over for a while now. Like a long while. Ugh. Life. It happens…so fast. Anyway, after all the Beignets that were inhaled on Friday you would think we might be a little desserted out. Yeah, right. Like that could ever happen. I mean around here we do not take a chocolate break. No, that would be laughable. So I made a sweat treat on the healthier side. Although I am not sure if consuming like five…in a row, defeats the whole healthy thing! See my “cookie dough” is actually homemade cashew butter dressed up with a shot of vanilla, just a little itty bitty bit of sugar, and some mini chocolate chips! It’s pretty genius. 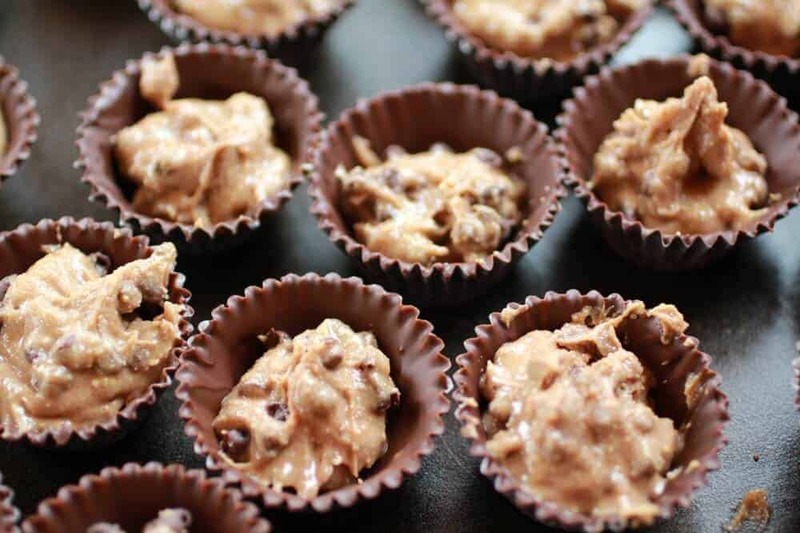 These cookie dough cups are super easy and require no baking or use of the stove! Score! But if your feeling lazy you can totally swap in creamy peanut butter, almond butter or cashew butter for the homemade cashew butter! I am pretty sure that peanut butter would be pretty darn amazing too! Oh and for some reason, people seem to be pretty impressed with these. I think it’s the cuteness factor, I mean they really do look like Reese’s. 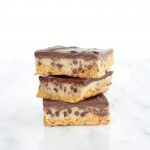 Which umm, I am pretty sure everybody loves, and then they take a bite and realize it is actually cookie dough inside. Then they really go crazy! Healthy? Yes. Addicting? For sure! They look like peanut butter cups.....but their not. They're better! Place cashews and pecans into a food processor and process until the mixture resembles a smooth nut butter, stopping to scrape down the side of the bowl if necessary. This can take 5 to 10 minutes of processing, so be patient. Process in the sugars, butter and vanilla. The sweeteners will at first thicken the nut butter quite a bit, but keep processing and the heat will eventually melt the sugar and smooth out the nut butter. Once again, if it still looks too thick, keep processing! Now here is the hard part – when your nut butter is finished processing, you need to pop it into the fridge to chill. If you don’t chill it, the chocolate chips will melt right into the nut butter and turn everything brown (yes, this happened!). Once it’s chilled, about 25 minutes, stir in the mini chocolate chips. 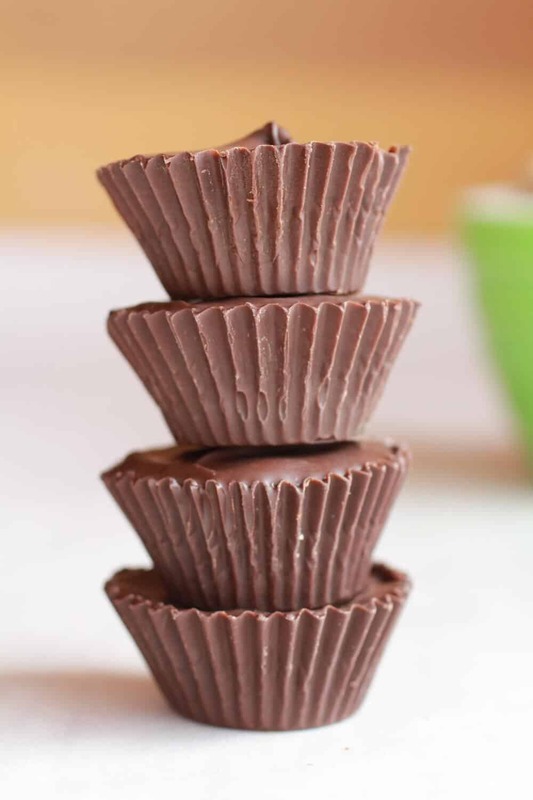 This creates about about 1 1/2 cups of nut butter, more than you will need to fill all 24 of the chocolate cups. Remaining nut butter can be stored in fridge for 2-3 weeks, use on crackers ort toast. While the "cookie dough" is cooling off, line a mini muffin pan with with 24 liners. Melt 1 1/4 cups of chocolate chips (I do mine in the microwave, heating on full power for 20 seconds, stir, 30 seconds again, and stir until melted). 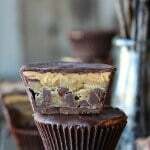 Drop 1/2-1 teaspoon of chocolate into each liner, then use a pastry brush to brush chocolate up the sides of the liner. Place in the freezer for 20 minutes. By this point the "cookie dough" should be cool. 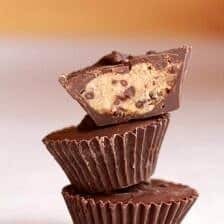 Remove muffin tin and cookie dough, then place 1 teaspoon of cookie dough into the chocolate cups. Place back in the freezer while you melt the remaining chocolate. 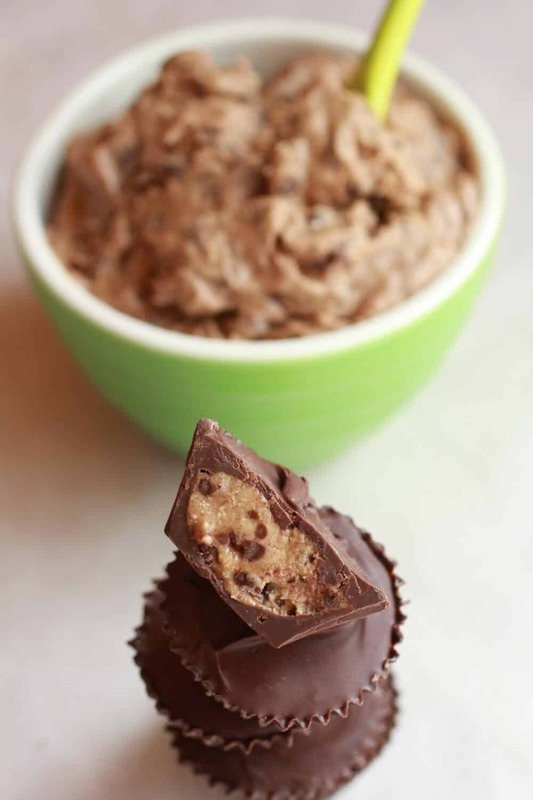 Melt the remaining chocolate chips, then cover each cookie dough top with chocolate, smoothing with a spoon. Freeze again for 15-20 minutes. These are fine if left out at room temperature for a few hours (they may soften a bit) but I like them best stored in the fridge. So maybe I’ll get those gifts out next week? Thank you! That is so nice! But seriously, they are easy! You will love them! Thank you for sharing at All My Bloggy Friends last week! These look so amazing! I pinned the recipe so that I can try them, I’m sure they taste as good as they look! 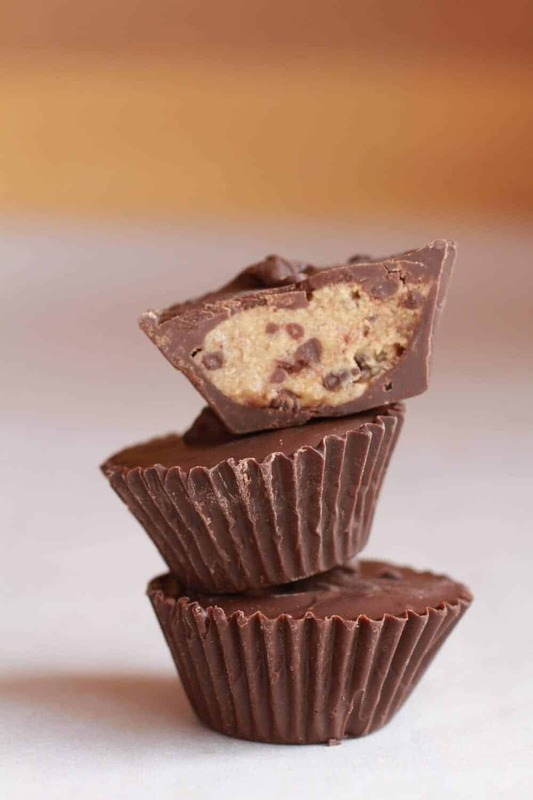 I love Reese’s cups and these look just like them….only better, especially with the cookie dough inside. Genius! They are so yummy! Promise! YAY! Thanks for following. I will try and keep the yummy recipes flowing! YAY! Thanks for checking out the little bloggy! Love your link party! These look AWESOME! I mean amazing! 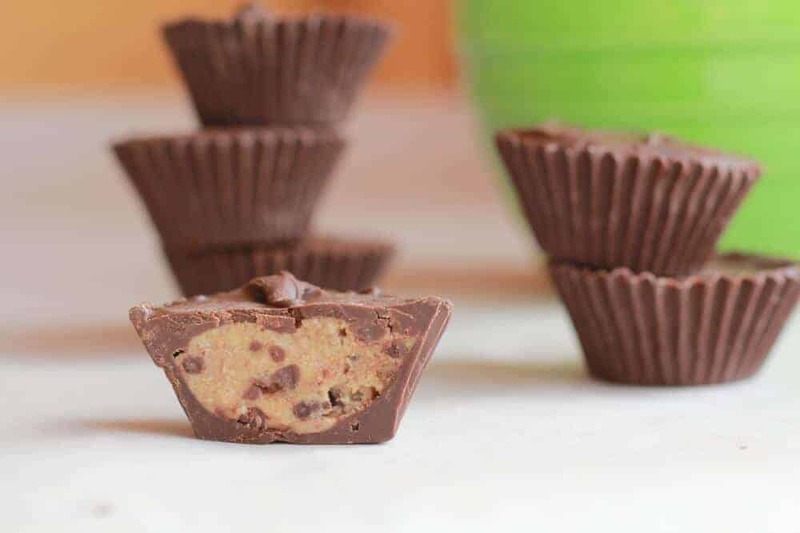 Cookie dough in a reeses-style cup – genius! I am pinning! Thanks for the recipe! Thank you! And thanks for pinning! I hope you like them! 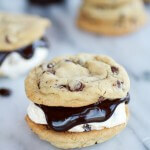 My mouth is watering and I know my daughter would love to make these. I have heard that cashews help in preventing hair from turning gray. Don’t you love that, a reason to eat a lot of them. Love that, If any were left I would go eat one right now! yay! Hope you enjoy them as much as we have! Holy Moly! I want these! Pinning! Thanks! I love that these are filled with cookie dough! Yum! What a perfect treat! I’ll be pinning! These are super fun. I pinned these little treats. Seriously though I think it was your pics that captured me, great picture taking! Thanks for pinning and for you nice words! These look amazing!!! Seriously, they are adorable and looks delicious. Mmmm. Yay finally someone comes up with my kind of cup – these should be buyable at stores and I would never ever buy something else! Thank you so much for sharing this at Wednesday Extravaganza – hope to see you there again next week – and don’t forget the voting is today! These look yummy! I’ll have to try these out. ow wow, you had me at “healthy” !!!! I love this idea, thanks so much for sharing at Tasteful Tuesdays! :o) You always link up the best stuff! These sound AMAZING– and they really would make the perfect gift if they could ever make it passed my mouth! These look amazing! Thanks for sharing at Cornerstone Confessions…Pinned it!! They look so good and like a good alternative for myself and others with a peanut allergy. OMG these look SO good. I am going to make them very very soon for my kiddos- I will be their favorite! Thanks for posting these!! I gave some to my very picky younger brothers and they went crazy for them! These look great 🙂 I will have to try them. After seeing these delicious looking morsels on several link parties, I thought I better check them out! They really look great! I love decadent, but healthy treats and these definitely fit the bill! Genius idea! This looks super amazing and I can only imagine how good this would taste. Thanks for sharing! Thanks for featuring me! Your party is great! You had me at cookie dough! If only I could jump into the computer and eat those! Thanks for sharing! Visiting from Mom on Timeout. Downright AMAZING! Oh how I wish I had a few of these this very minute. WOWZERS! These look so good and making them healthy will make me feel less guilty making them for my grandkids. Thanks for the idea and recipe. 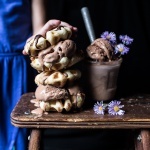 Cashew butter wrapped in chocolate – amazing! Pinned. And stumbled. Thanks so much for linking on Busy Monday! oh my, I’m getting fat just looking at the pics. Great and simply explained recipe…even my husband could do these and soooo impressive. These are so cool. Thanks for sharing the recipe. Glad you like them! Thank you!